Radiant, beautiful, flawless – all these terms surmise Kate’s looks, but even more specifically her skin. The Duchess of Cambridge has a lovely complexion that most of us would die for. 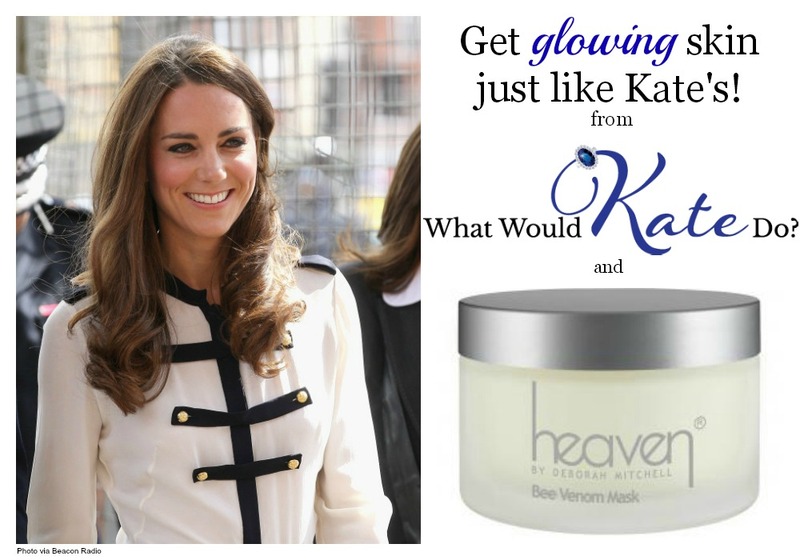 As we explore Kate’s royal beauty bag and the products she uses, we were extra excited to test Heaven Skincare’s Bee Venom Mask. 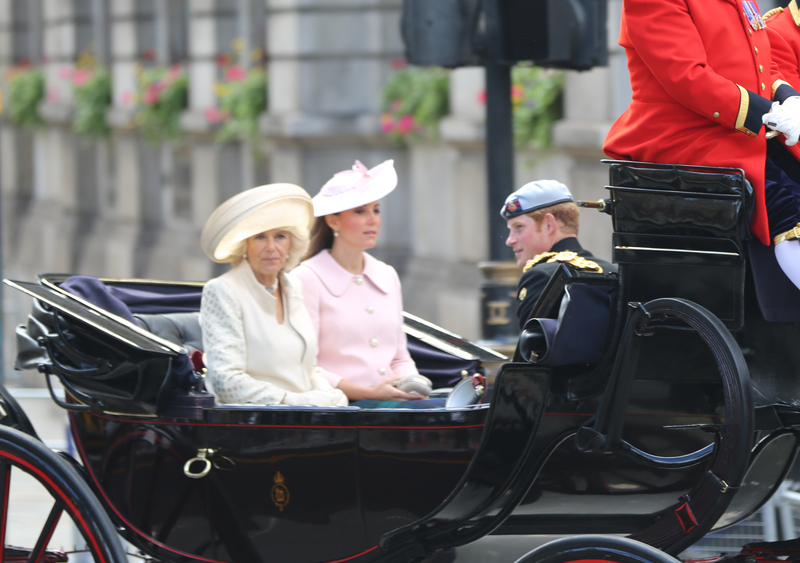 Camilla, the Duchess of Cornwall, reportedly shared her secret weapon with Kate. According to Deborah Mitchell, the company’s ingenious founder, Kate uses Heaven products to get that beautiful Duchess glow! According to the Heaven Skincare website, the mask contains Manuka honey, Shea butter, rose and lavender essential oils, but most importantly is contains “the magic Bee Venom ingredient.” The mixture is made of natural and organic ingredients “combined to work in synergy” and used as an alternative to Botox. The Bee Venom Mask helps to soften, calm, and reduce any lines and wrinkles. While the product is meant for anti-aging, it truly is magical – it can cure a whole myriad of evils, including dark spots, allergic reactions, breakouts and uneven skintone. Luckily for me, the product was mild and moisturizing on my skin. I put on the mask and sat back in a bubble bath wishing for some of the Kate magic to wear off on my skin. I also liked the plump and moisturized feeling that came after I took it off though. I found the mask to be very soft and perfect for my sensitive skin. It did not irritate it at all, and left my skin feeling tight and toned. The mask is a true secret weapon for blemishes or generally un-pretty skin. For me, it healed a hormonal breakout almost overnight and gave me a healthy, radiant glow. Perhaps Prince Charming will notice me now! Not needing anti ageing products just yet, I looked at it from a different point of view to see if I could get anything out of it and it worked wonders while I was away on holiday, calming my skin and adding so much moisture. It was perfect for the long flight as well. I applied this just before landing each time and I looked so much better and refreshed! I enjoyed the consistency of the mask, which is similar to a light weight moisturizer opposed to the usual clay-like texture of most masks. It also has a very pleasant scent that smells like roses. After washing it off, it left my skin feeling baby smooth and refreshed with a subtle glow! I can see why Kate is a fan. So, now that we have told you how amazing the product is, you simply have to try it yourself. Luckily, we are giving one lucky WWKD fan the mask that is fit for royalty! This giveaway is open to international readers. 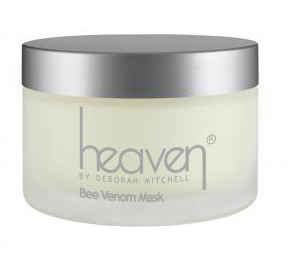 Prize is (1) 15mL jar of Heaven by Deborah Mitchell’s Bee Venom Mask. Please enter fairly. Anyone suspected of multiple entries will be ineligible to win. Such a fab giveaway. My skin is TERRIBLE so I’m crossing all my fingers. Shared on my KMSB page for you too. BTW I RTed your status – it wouldn’t give me a url, kept just giving me your original tweet url, but you should be able to see my RT for the entry.